Medication that reaches the spot where it’s needed without placing strain on the rest of the body is no longer a vision of the future. FAU has successfully developed proteins that function like a shuttle and release medication directly in the place in the body where they are actually needed. The study could serve as a model and could enable targeted and tissue-specific administration of medication in future. The findings have been published in the renowned journal ‘Proceedings of the National Academy of Sciences’ (PNAS)*. Using medication in a targeted manner and getting it to its point of action without damaging healthy tissue on the way is a key issue at the moment in pharmaceutical research. 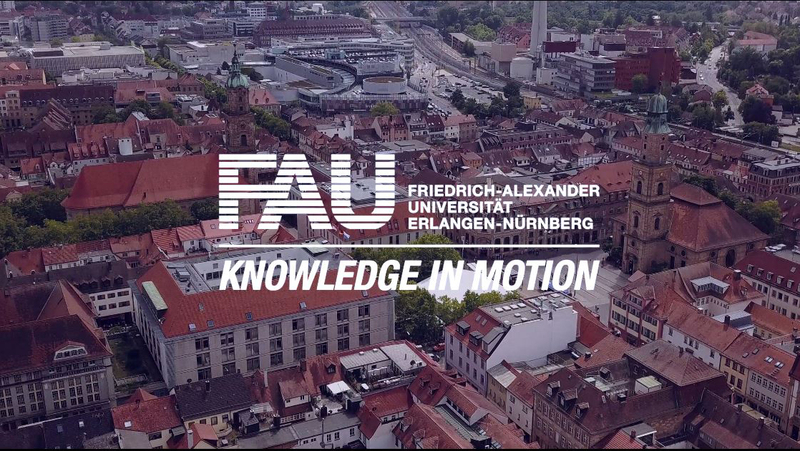 Staff at the FAU’s Chair of Biotechnology led by Prof. Dr. Yves Muller and lead author of the study Karin Schmidt have developed a new solution for this process. In collaboration with researchers from Friedrich-Schiller Universität Jena, they were able to demonstrate that a certain group of proteins can be restructured to form tissue-specific ‘shuttles’ for medication. A computer-aided process developed by the Chair of Biotechnology and experiments in the laboratory were required in order to solve the difficult task of designing proteins in such a manner so as to allow substances (so-called legates) to be bound to them. The researchers used crystallography in particular for this purpose. In a game of ‘ping pong’ between applications on the computer and the laboratory, the researchers successfully converted a protein of human origin called antichymotrypsin into proteins to which they could bind a well-known antibiotic (Doxycyclin) and a widely-used cytostatic drug (Doxorubicin) that is used for treating cancer and autoimmune diseases. The bound medication is then released in the target tissue by splitting the shuttle protein with a so-called proteinase enzyme. The published study now provides experimental proof of the fact that the medication was bound to the proteins and how it was achieved and lays the foundation for more detailed investigation. Using the protein shuttles could enable medication to be used in lower doses in a targeted manner without major procedures and with fewer side effects. This would lower the impact of the medication on the rest of the body and other organs and enable the active ingredients in the drugs to be used more effectively. ‘We have a long and difficult path ahead of us before certain proteins can be used as shuttles in medical applications,’ says Prof. Dr. Yves Muller, who led the study. The first step is to further increase the binding affinity of the drugs to the shuttle proteins. ‘The key has to fit even more precisely into the keyhole,’ says Prof. Dr. Muller. The Chair of Biotechnology at FAU will be intensely involved with this project during the next few years. The next step involves extending the project to clinical applied research. Experimental proof must then demonstrate that the mechanisms also work in tissue. However, the researchers are hopeful that their model study has the potential for developing directed shuttles for medication and could be groundbreaking for targeted and efficient administration of medication. *The results of the research were published with the title ‘Design of an allosterically modulated doxycycline and doxorubicin drug-binding protein’ in the journal ‘Proceedings of the National Academy of Sciences’ (PNAS) https://doi.org/10.1073/pnas.1716666115.